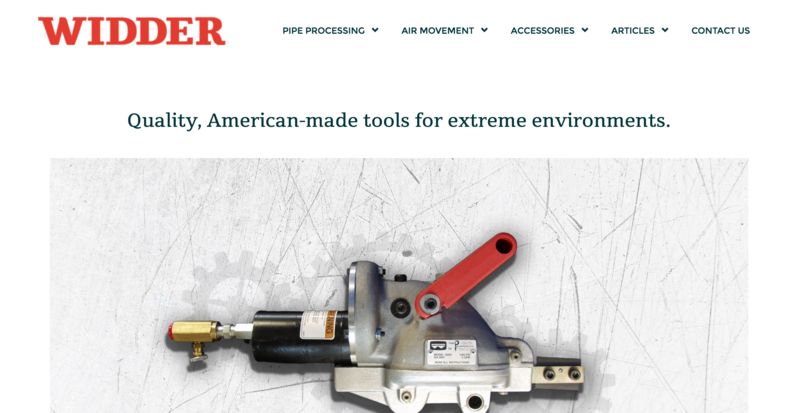 WIDDER is a line of high-performance pneumatic, hydraulic and electric tools by Hamden, CT-based manufacturer HPI Manufacturing Inc.
WIDDER pipe-processing tools and accessories are known for high quality, exceptional durability and low maintenance needs, which makes them the top choice for harsh environments and time-sensitive applications where reliable performance is essential. 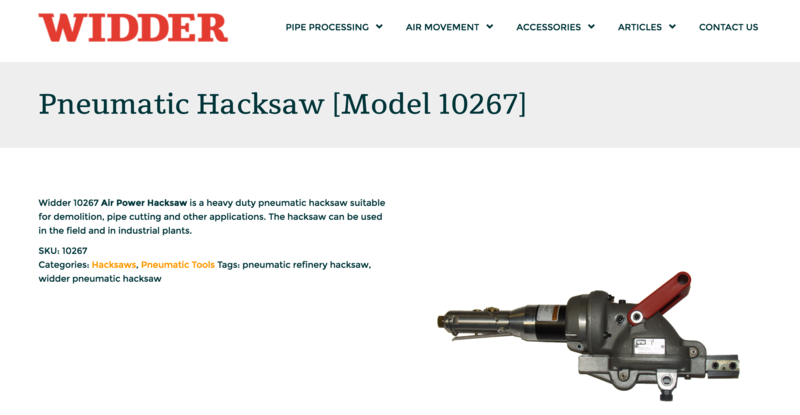 This is why WIDDER tools are popular choices for oil rig maintenance and refinery turnarounds – our tools deliver reliable performance in some of the hottest, coldest, driest and wettest environments on Earth. Old website looked dated; we built a modern site based on the WordPress platform, 3PRIME created a mobile-friendly, responsive website with an awareness and emphasis on search engine optimization, site architecture, and keyword goals. 3PRIME is hosting the Widder website. 3PRIME knows how important it is to have someone you can trust and turn to for advice and troubleshooting when necessary. Hosting the site allows 3PRIME and Widder to continue working together and collaborate on any issues, changes or problems that arise.